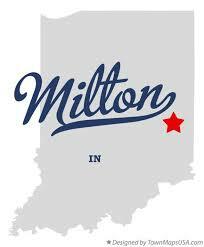 (Milton, IN)--Investigators were on the scene of a shots fired call in Milton Thursday morning. According to scanner traffic, multiple shell casings were discovered in the 200 block of Seminary Street at around 1 o’clock Thursday morning. There has been no word so far on whether or not anyone was shot. One person who may have been involved in a recent pursuit was being questioned, although no arrests had been made by 7 a.m. Thursday.